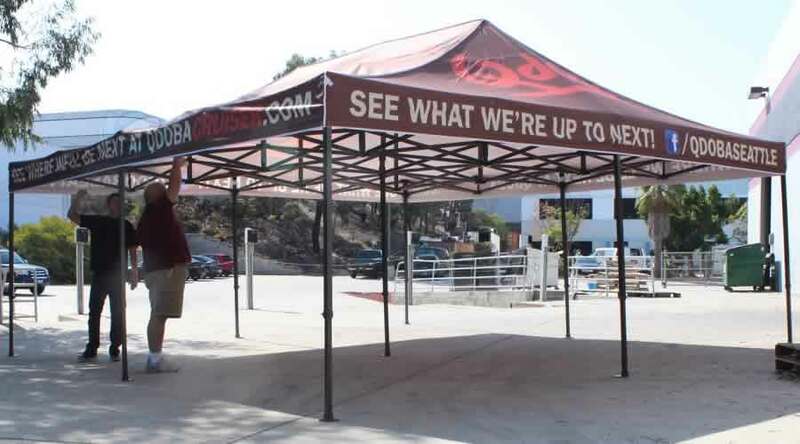 8 Most Effective Ways of Using Pop Up Tents for Brand Advertising! How do you advertise your business in exhibitions and trade fairs? Well, there are several ways to bring your business to public attention. One of the most effective ways to bring your business under the spotlight is custom pop up tents. This blog tells you about the utility of pop up tents in a business exhibition. 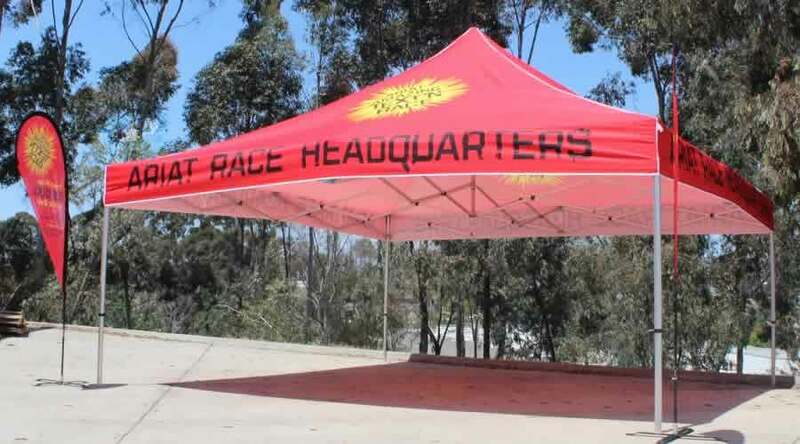 If you want to display the name of your brand clearly to your target visitors, a custom pop up tent can be very useful. You can get tents anywhere, but you need to hire an efficient tent designer to apply the right design on your tent. An experienced designer knows what font can be perfect to grab the attention of prospective clients. All modes of advertisement do not publicize your business right where you are sitting. But, a popup tent does so where you are present. Your target visitors do not have to search for your booth. They can find you exactly where your booth is. This way, they can ask you about your products or services in details. Pop up tents do not need you to be a rocket scientist. They are very easy to install if you have a helping hand. All you need to do is attach the upper part of the tent with the stands. But, make sure that you have the manpower to unfasten the top, in case a heavy wind starts blowing. Not that these custom pop up tents are fragile. But, if you mount an extra figure on top of the tent, it may fall off or get damaged due to rough wind or heavy rain. Imagine, suddenly there is a flood and everyone is swept away by the water. You can rest assured that your tent is going to stay intact amidst all the water. Well, I might overdo it, if I say that it can tolerate tidal waves or a gush of forceful wind. Attractive to the eyes - An efficient tent designer uses the right color combination that matches your business logo to paint the tent. The tent represents your business exactly the way, in which you want. The designer uses the right colors to attract visitors. 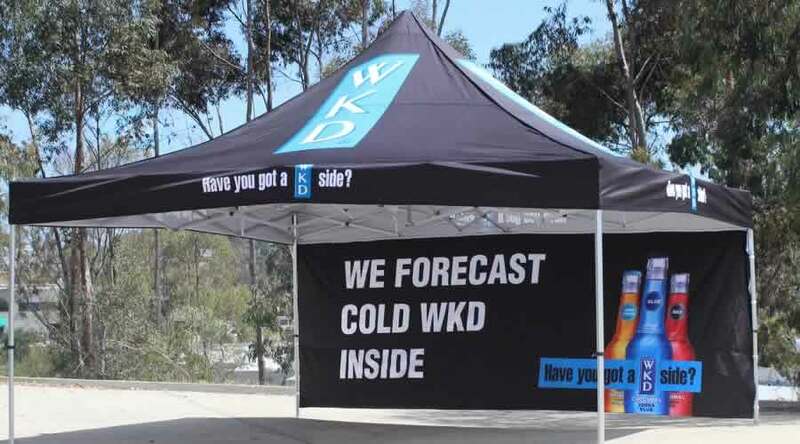 An effective pop-up tent has the names of the main products or services you offer. It may also have images of the major products you offer. These tents are easy to carry. They can be folded and carried from one place to another. In the event that you have to shift base, you can simply uninstall the tent, pack it and load it on your pick up the van. Can you remember any other benefit of using custom pop up tents? Use them and let us know about your experience.